Both Apple’s App Store and Android’s Play Store has loads of free Apps for your use. But there are some really handy Apps and games on these stores that are available for a Price. Often many top Apps go on sale/go free in these stores and the news never gets to you. Here is a simple method to setup notifications or emails whenever an App goes on sale or gets discounted. To perform this function, I have used IFTTT (If this then that) App. Available for Free on both iOS and Android, it uses an event as a trigger to perform a task for you. For example, if you post a photo on Instagram, you can set to to save the photo in Dropbox automatically. 1. 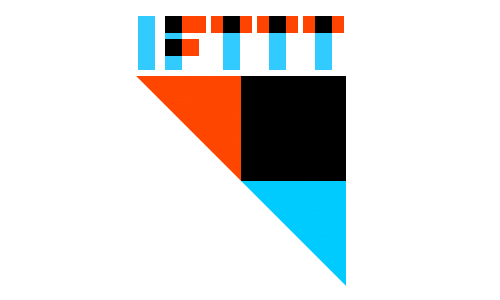 Download IFTTT (If this then that) for Google Play Store / Apple App Store. 2. Once Installed, launch the App and tap the on the Bowl icon on the right top corner. 3. A slide menu will appear. Tap the + sign on the top right corner. A Create Recipe menu will appear. 4. Now you will be asked to set a Trigger. Tap the + sign on the left and a row of IFTTT channels become visible. Locate AppZapp Channel and select it. 6. You will be asked to Activate the AppZapp Channel, press Activate. There will be some questions about your location and types of Apps you want updates on. Select USA for country and rest according to your preference. 7. Now IFTTT will ask you what task you want performed. Hit the second + sign in Recipe and again the row of IFTTT Channels will appear. Locate Android Notifications and Select Send a Notification. 8. IFTTT will ask you for confirmation of the recipe, select Finish to complete it. The process is similar Play Store Notifications. You can find the options for Play Store updates in the AppZapp list of triggers. You can set up Email notifications to your email instead of Android Notifications. When you select the task you want to perform, instead for Android Notifications, select Email Digest. You can even set the time you get the email updates. We suggest Email Digest option because Android Notifications flood your device with updates. Nice blog with unique content. Thanks for sharing and keep updating..
Nice fabulous post. Thanks for sharing and keep updating. Android application review should always keep a check on buy positive reviews how to buy android app installs increase app downloads and also the negative reviews our app gets. You shouldn’t them as negative comments rather you should learn from them and take them as buy ios installs feedback for buy positive Google reviews. Nice good work in the post.For more queries related to Microsoft Outlook, you can visit these sites for more info. very usefull post thanks for sharing.